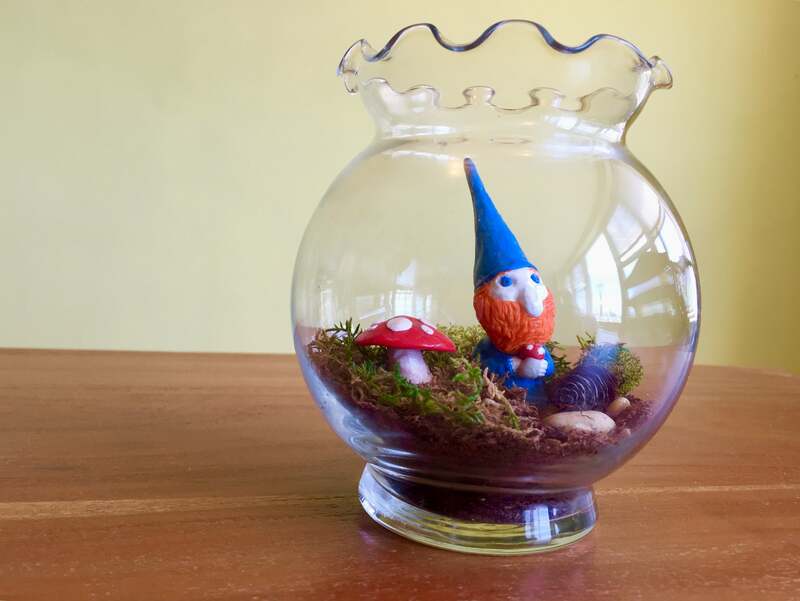 Terrariums are having their biggest moment since Queen Victoria was in power. A popular way to exhibit plants in the late 1800s, terrariums, called "Wardian Cases" in the Victorian era, were elaborate affairs that could take up an entire side table. These days, the smaller, simpler iterations line the windows of trendy shops and office desks. Here's how to build your own for a fraction of the cost of those fancy kits. A tiny green universe enclosed neatly in glass, easy to care for and often populated by delightful miniatures, it is easy to see why terrariums, especially the easier-to-keep-alive moss variety, are back in vogue. They make a great alternative to a sad desk cactus at work, requiring little light and care. And if you should neglect them completely, the dried moss looks just as lovely as fresh. A few household containers that would make for great terrariums. 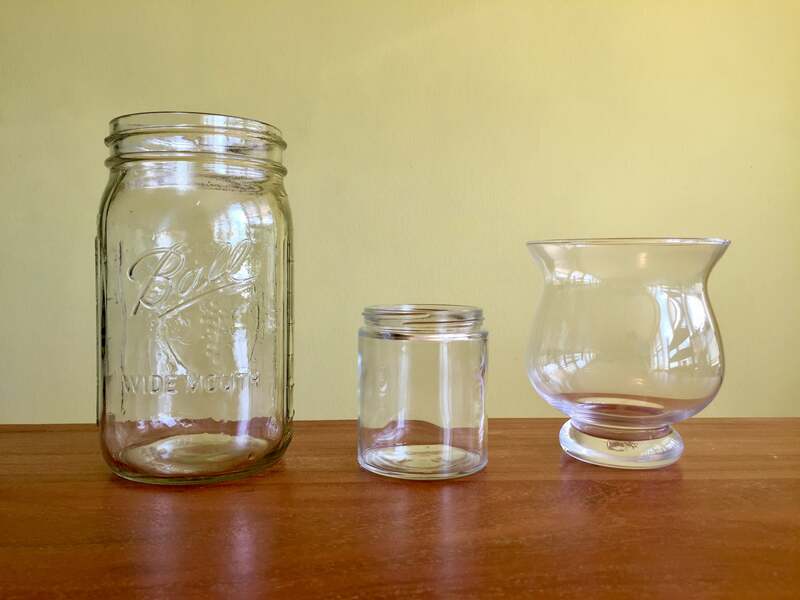 From left, a classic Ball jar, a small jam jar and an inexpensive candle holder. Photo by Olga Oksman/Lifehacker. First you will need a glass container. Any clear glass container you can fit your hand into will work. Good old generic Mason jars look surprisingly spiffy as terrariums, as do clear glass candle holders from your local dollar store. But no need to spend any money; you probably have a perfect container in your fridge right now. Pickle jars are great, and a little dish soap will get rid of the dill smell in no time. Fancy jam you bought on a whim? Perfect for housing a smaller terrarium. 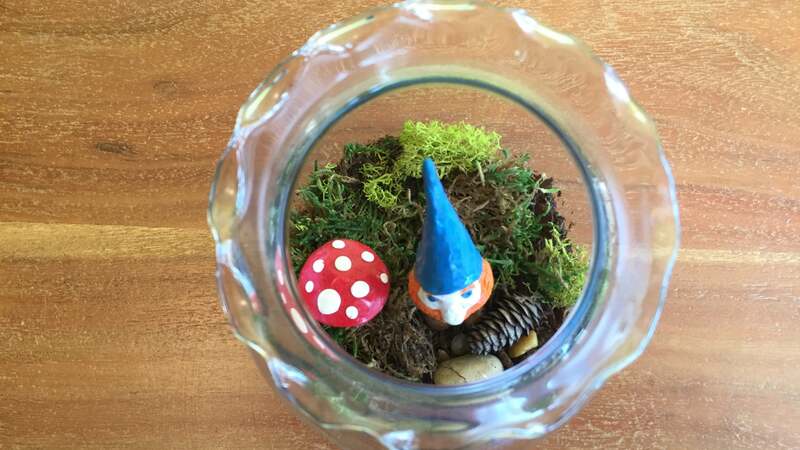 Once you have the glass container ready, think about what theme you want for your terrarium. Just because it is a mossy woodland scene does not mean you have to go the fairies or garden gnome route. Gently sloping mossy hills are perfect for a cemetery, complete with tiny gravestones. Or jazz it up with mythical creatures like unicorns, do your best Themyscira in honour of Wonder Woman, or kill time before Game of Thrones starts up again by rendering any of the Seven Kingdoms. You can buy simple miniatures at any craft store or on Etsy for relatively little money, but the real fun is in making your own. Oven bake clay, which you can get in any colour imaginable at craft stores or online, is perfect for rendering anything your imagination can dream up, plus it will make your terrarium completely one-of-a-kind. Using oven bake clay is really simple. Since it comes already dyed in any colour you may need, there is no need to paint it afterwards. Simply sculpt what you want like you're back in the Play-Doh days of childhood. Then bake in the oven according to instructions until it hardens. 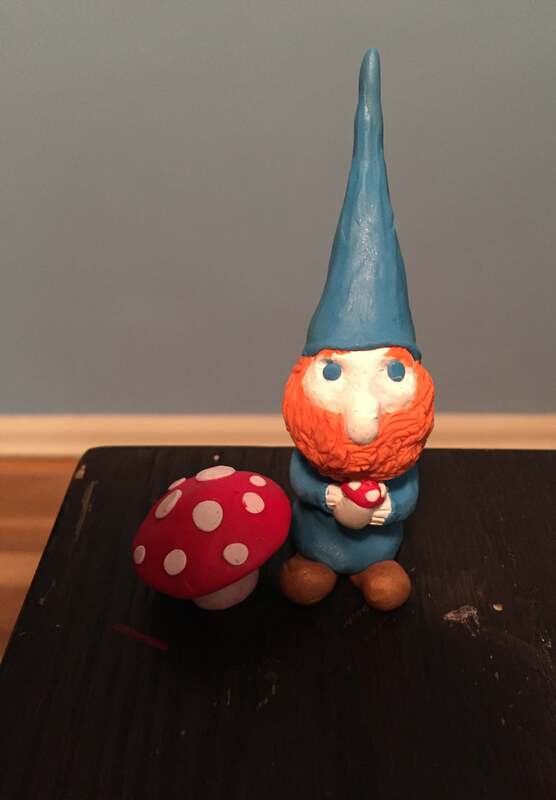 After your elaborate oven bake clay Iron Throne — or in my case, awkward gnome and mushroom — is completely cooled, simply paint with clear nail polish to varnish your figurine and keep moisture from seeping in. Now that you have your glass container, one-of-a-kind fauna and a theme, you need the flora. Bonus points if you happen to live near a swamp and can gather your own locally grown moss. For the rest of us, moss can be purchased for a couple of dollars per bag at gardening or craft stores. You have two choices: You can purchase moss that is living, and continue to grow it as you would any plant, or you can purchase dried moss, which is often dyed a cheerful colour, and looks remarkably like the living stuff. If you have the husk of many a dead desk plant in your wake and don't want to be bothered watering your terrarium, dried moss is a great way to go. If you are going to be using live moss and plan to keep it that way by watering it, you will want a drainage layer at the bottom of your glass container, which can be made with pebbles. That layer is there so that if you overwater, there is a place for the water to go so the soil does not remain constantly moist, causing roots to rot. A lot of terrarium kits include activated charcoal, which is layered on top of the pebble drainage layer, as a way to keep the soil from smelling. You can buy activated charcoal in a pet store, in the aquarium section. Activated charcoal is useful in a closed terrarium, but for an open one like the one we're making which is similar to a potted plant, it's not really necessary, so just pile your soil layer on top of the pebbles. Soil and pebbles are also used to sculpt the topography of your world, so they're great for dried moss terrariums too, but you don't have to worry about creating a drainage layer. Hills, mountains, plains or deep cavernous sinkholes swallowing the world can all be sculpted using a little soil, a few pebbles and imagination. After you've configured the topography of your terrarium, simply add the moss where you want lush rolling hills, great sweeping plains or overgrown forests. You are now ready for the best part: popping in your miniatures to populate their new world. If you are using living moss, give it a generous spritz of water once a week or so and keep it out of hot, direct sunlight. And there you have it: a custom-made, totally original, moss terrarium for about the same price as a sandwich. Or add a lid that seals the ecosystem.